Handle your Printers properly | TonerGreen - Eco-Friendly Toners from the U.S.
Knowing how to handle and use your printers will give you a good relationship with it. You don’t have to be afraid when one day it creates a weird sound or if it stops printing, because when you have understood everything about your printer, you can easily fix anything. Keep in mind that your printer either uses a USB cord or a Bluetooth system to stay connected to your computer. Check it once in a while to maintain the connectivity. There are two types of printer: the laser printer and the inkjet printer. The first one uses laser toner cartridges while the other one is filled with ink cartridges. Do not forget what type of printer you are using to avoid problems with the printer cartridge. Printers use resolution to define the sharpness and clarity of its printouts. However, the higher the resolution, the more ink or toner it will consume so be careful on this. Just check if you really need a lot of sharp colors on your printed material, if not use the draft mode to save on your printer cartridges and paper as well. 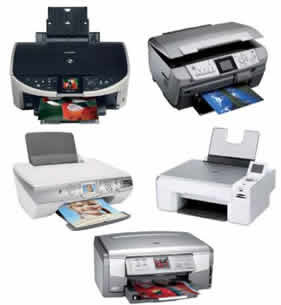 Understanding the basics of owning a printer is very important to keep its performance. Also do some maintenance on it once in a while to save you from serious problems.